IBM's AI scientists teamed up with McCormick & Company's food developers to enhance food research. You may not think that Tuscan chicken’s creamy, garlicky flavor is due for a high-tech upgrade, but advanced artificial intelligence is on the case all the same. An AI algorithm is about to analyze and improve that and other classic recipes before designing some brand-new foods as well. And if it goes well, we can expect AI to play a bigger role in developing the foods we eat every day. Right now, some big names are working to amass the expertise of all the world’s food experts, head chefs, and flavor scientists into a single artificial intelligence algorithm that concocts new foods better and faster than any mere human. The smartest algorithms aren’t quite there, but some big names are working on it. IBM’s artificial intelligence labs, famous for its Jeopardy-winning and cookbook-writing AI algorithm, Watson, have been collaborating with seasoning seller McCormick & Company’s food developers and researchers for the past four years. 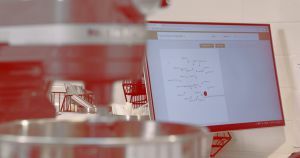 The team’s first AI-generated food products will hit the shelves later this year, according to an IBM blog post published in early February, and if all goes well, every McCormick developer will be collaborating with the AI system by 2021. The end result will be AI-generated foods, flavors, and mixtures based on a deep knowledge of flavor profiles so complex that no human expert could match it. Faridi explained that currently, it can take weeks or months before a new food product goes from concept to final, market-ready product. When McCormick develops a new food product, the job, along with specific details like whether it has to be kosher or halal, and a target cost, will go to one of several hundred developers — chefs, chemists, psychologists, and other experts in food and flavor — scattered around the world. They’ll then go and grab the formula for a similar product, add and remove ingredients as necessary, and test out their new idea before coming back to tweak it even more. IBM’s algorithm takes the same approach. But because it contains a broader knowledge of food and flavor than an individual expert, Faridi says the system can design a shelf-ready product in a fraction as many iterations as a person could. A formula can go through as many as 150 iterations before ever reaching the shelf; a developer with decades of experience might be able to do it in 50. But with IBM’s new AI, even less-experienced developers could do it in 50 tries as well. IBM’s AI system can do more than speed up the development process — it can also generate flavors and formulas that a human might not have considered. Each human developer comes with biases. That’s not necessarily a bad thing; they may simply have favorite or go-to ingredients, like particular spices, that are over-represented in their formulas. But because IBM’s AI, largely comprised of a massive neural network, is trained on decades of McCormick data, the system is able to consider alternatives outside of a particular expert’s wheelhouse. The algorithm also absorbed contextual data from decades of market research — the neural net processed data on people’s preferences based on factors like their culture, location, and moods. For now, the AI-generated foods set to hit shelves later this year — seasoning mixes for Tuscan chicken, bourbon pork tenderloins, and New Orleans-style sausage — are more of updated classics than anything truly groundbreaking. But Goodwin and Faridi said that they plan to push the envelope further and further in coming years as the program takes off. “To some extent, coming up with just an odd combination of things may not be that hard, but showing that you can actually come up with something that people are a little familiar with, but come up with a very good version of it, speaks to the strength of the collaboration of the people and the machine,” said Goodwin. Faridi expects that this human-machine collaboration will completely change the way foods are developed. And perhaps most importantly, he predicts that it will continue to be a collaboration where human employees are central to the process rather than automating it altogether. Goodwin said that he envisions a future where the AI system captures the knowledge-based part of the process so that humans can focus on creating creative new products. For instance, the neural net could take away the technical side of the process, which can include determining all of the minute differences between ingredients that work well together, which ones can replace one another, and which specific form of each ingredient to choose. Goodwin gave the example that the machine would know to choose flaked garlic over powdered or diced garlic in a given recipe and would even be able to choose the correct flake size. “The system learns these things like the apprentices who learn as they go,” Goodwin said. As the new system takes off and his team works out the kinks, Faridi expects other major players in the food industry to follow suit — he doesn’t expect the deployment of AI to remain exclusive just to McCormick.